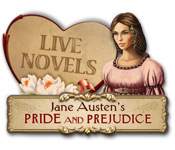 Live Novels: Jane Austen’s Pride and Prejudice is rated 2.3 out of 5 by 60. Rated 2 out of 5 by 70summerfield from Boring This was another attempt to translate a classic piece of literature into a game. While it has been successfully done,as in Edgar Allan Poe's "Murder in the Rue Morgue", this attempt was a failure. It opened with cartoon-like drawings to set the story line, no voice overs, and proceeds to the standard HOS where you find the parts of an object then combine them. While the graphics after the opening scene are rather nicely done, the game play was not interesting enough to entice me to complete the demo. Sorry, this is a no buy for me, however, it might hold a begginer players' attention. Rated 2 out of 5 by Nilosh from Bad Deja Vu! If I am not mistaken, we had another game with same story not long ago which was bad. Now I am trying to choose which one is worst. I am a big fan of P&P however Live Novels just does not make me want to spend time with one of my favorite literature characters, Mr. Darcey. The Game begins with hand drawn art work and unfortunately scenes load very slowly. This is a FROG/HO/Interactive Game which involves scrolling screen. I anticipate that many will not like this feature. There is a journal with a task list and no voice-over. I liked the music but it is on a loop and does get annoying after a while. Visuals and Graphics are poor and items are difficut to find. Hint system does refill quickly and there is only one mode of game play. No sparkles and HO scenes are easy to play. Not a difficult game but very tedious and uninspiring. Sorry, it is a pass on this. I prefer to go and re-read the book. Rated 1 out of 5 by robina852 from Boring This game is very boring, I played for 10 minutes of the free trial before uninstalling it. A waste of time. Rated 1 out of 5 by Squidipuss from Victorian England?!?! How could they get this wrong? In the Big Fish teaser/ad for this game it says that this is set in Victorian England. How did someone get this wrong? Jane Austen died 20 years before Victoria became Queen, so Pride & Prejudice could not possibly be set in Victorian England. In fact, it's set in the English Regency (which lasted from 1811 to 1820). The drawings for the game were beautiful and generally accurate to the time period. I like hand-drawn artwork in games, so this could have swayed me. However, I found the game play frustrating. The search & find silhouettes were hard to recognize, especially because the 'Parts' screen automatically disappeared from view. That meant I had to keep clicking on 'Parts,' then trying to find a piece from memory.. After 15 minutes, I'd had enough. 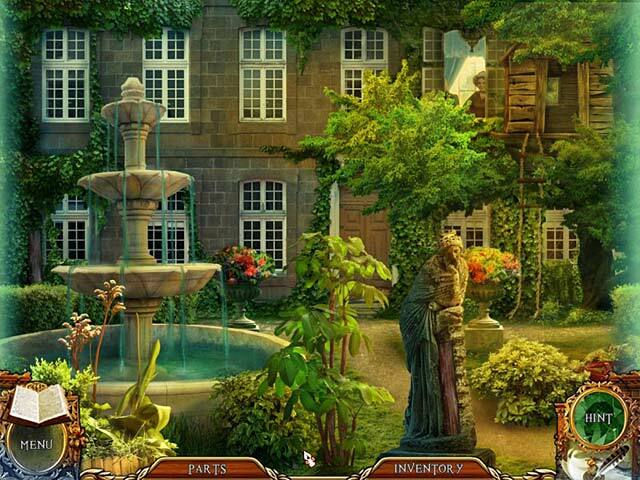 If you want a good game based on a classic novel, try Murders in the Rue Morgue or The Great Gatsby. Both are far, far better than this one. Rated 1 out of 5 by tdmj5 from THE WORST! THIS GAME IS BAD BAD BAD.ANNOYING POP UPS TO MUCH TALKING.PLAYED 15 MINS OF DEMO AND COULD NOT PLAY ANYMORE. Rated 1 out of 5 by ahsten75 from Read the novel I knew something was off when the opening cut scene showed Netherfield for sale. Bingley rented the house and was worth 5 thousand a year. It also made me cringe when Darcy referred to Jane Bennet as "cute". Navigating was just awful with the side scrolling and some of the objects were very hard to see. Game play was slow and if you click on something that was obviously out of place, a window pops up saying you don't need it, making you go back a couple of minutes later to pick it up. Furthermore, the game kept on freezing. Huge disappointment after 13 minutes of the trial. Read the novel (or watch the movies) instead. Or better yet, have the devs actually read the novel before making a game. Rated 1 out of 5 by LC1969 from DUMB The hints are terrible. Takes toooo long to load everything! I wouldn't recommend to anyone!! 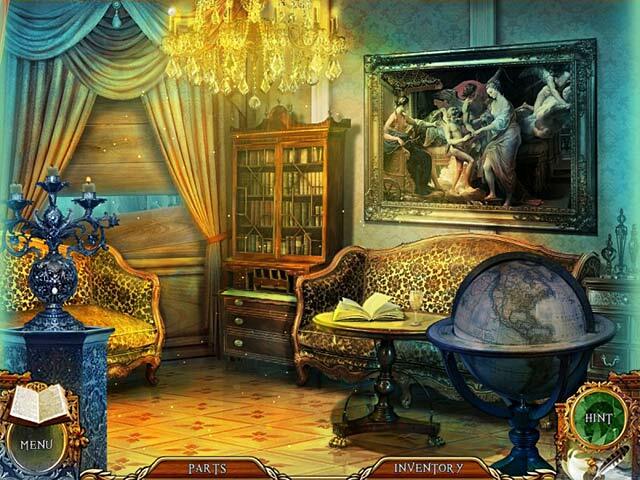 There are more fun and challenging hidden objects games out there. Rated 1 out of 5 by HereF1shyF1shy from Just Really Badly Done Gameplay itself is very boring/tedious. The historical setting the story is based on is represented badly--the dialogue doesn't at all sound what you'd read in Jane Austen novel, for instance. It's just bad all the way around. Rated 1 out of 5 by berrygood from Oh my. This is dreadful. I may have given this game another star if it didn't remind me so much of an equally poor P&P-based game that came out not too long ago. This one is just marginally better. The artwork here is nicer and the characters are more attractive, but it's slow-moving and boring. Plus, I'm just not sure why you would create a game based on P&P with no voiceover. The story is dialog driven, so if you don't have recorded voices, you lose any sense of the story moving forward. And you are forced to continue to click through dialogue. How about an animated adventure game with multiple characters (major and minor), British voices, lush artwork, and a compelling story? Be true to the original but be inventive with the storyline and tasks. There is so much content to work with, but so little done with it. I quit before the trial was over on this one. I don't recommend it. Rated 1 out of 5 by roeymac from Missed the point! It can be wonderful to remake or re-imagine superb stories and create fantastic and involving games (such as the Poe or Phantom-esque games on this site) but attempting to put a classic by Jane Austen in this context?! No.... no.... no! The story did not work as the humour and irony was lost in this format. The gameplay was dull and fiddly. I think I lasted 10 minutes before a decisive deletion. Sorry - I usually love these games but this one just couldn't cut it. ALSO - dear Bigfish, Pride and Prejudice cannot really be said to be set in Victorian England. Just a thought. Rated 1 out of 5 by gryhndlvr from Arrrgh 3 minutes into the game, it had to be deleted. Must marry the rich man, no matter what. Awful storyline, lousy game play.No challenge and absolutely no fun. 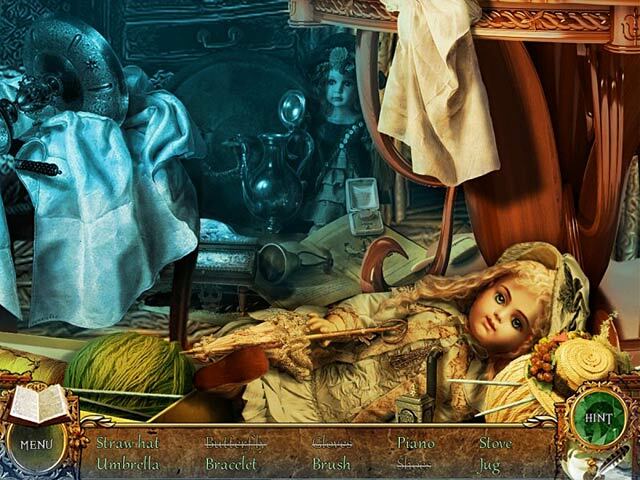 Rated 1 out of 5 by ranchbug from Live Novels: Jane Austen’s Pride and Prejudice I don't recommend this game too many hidden parts, no plot, and the only thing nice about the whole scene is the music. Big Fish needs to come up more games that you can follow than just clicking for parts. Rated 1 out of 5 by cheeky_monkey_ from Simply awful I was literally 2 minutes into the game when I exited out and deleted it! The graphics were horrible and the screen scrolled as you moved your cursor which is so irritating. Not even worth trying the demo. Rated 1 out of 5 by eedebeep from Tedious,below average graphics, and way too much leading Did they dig this game up from 10 yrs ago or something? It's an insult to anyone who's played a few games, and to Jane Austen. Played 10 min of demo and that's all for me! You don't need hints, the areas in which to act are highlighted, you get a shadow of what you need to find. In sum there is no challenge and very crude graphics. Skip this one! Rated 1 out of 5 by BonnieBo from I really wanted to like it.... because this is one of my favorite novels, but it only took about 10 minutes to delete it. Poor spelling, slow moving, and boring. Rated 1 out of 5 by truddi from Played 8 minutes too long This game is awful. You cannot move without being told "thats not part of, or that does'nt look like". Even the music got to me in that short time. A classic novel but not a classic game. Certainly a no buy for me. Rated 1 out of 5 by les13 from WASTE OF TIME This had to be the first HOS this company has produced. It is horrible. A downloading book comes up each time you need to move to another area/location. I only used us 14 minutes of time to realize this was a really horrible game. Don't waste your time even trying this one. Rated 1 out of 5 by BF_Fanatic from Oh Dear!! Boring, boring and boring! Great if you are not familiar with Pride and Prejudice and are still at primary school! Not up to the usual standard of Big F!